Our precision-engineered Extension Springs are available in various shapes and sizes. These are manufactured from quality material that is procured from the reliable vendors of the industries. Manufactured at par with the international standards, the extension springs are ideal for a longer usage and ensure durable finish standards. Further, these are available at industries leading prices. 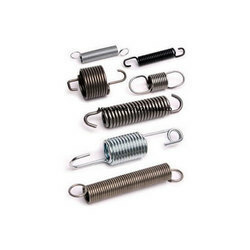 We are Extension Springs manufacturer all types dimension accurate range of Extension Compression Spring which is customized as per the specifications of our clients. Extension Spring are qualitatively superior and are used in a trampoline as well as circuit breakers. Asco Extension Springs manufacturer all types dimension accurate range of Extension Spring which is customized as per the specifications of our clients. 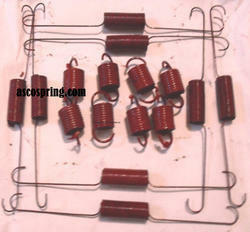 Extension Spring are qualitatively superior and are used in a trampoline as well as circuit breakers. Load Bearing Capacity: As per specification. 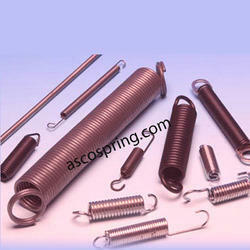 Asco offer an extensive range of Extension Springs are available in various shapes and sizes. 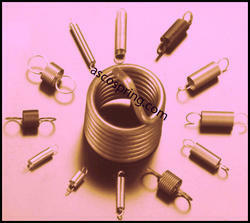 Extension Springs manufactured from good quality material that is procured from the reliable vendors of the industries. Manufactured at par with the international standards, the extension springs are ideal for a longer usage and ensure durable finish standards. Further, these are available at all industries leading prices. We offer an extensive range of Wire Extension Springs are available in various shapes and sizes. 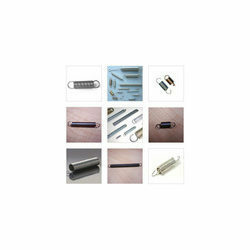 Wire Extension Springs manufactured from quality material that is procured from the reliable vendors of the industries. Manufactured at par with the international standards, the extension springs are ideal for a longer usage and ensure durable finish standards. Further, these are available at all industries leading prices. Our clients can avail from us a wide range of Extension Springs which is available with the bar dia. capacity upto 12mm. These are manufactured using premium quality raw material and are widely used in electrical components such as automotive interiors and exteriors, garage door assemblies, vise-grip pliers, carburetors, trampolines, washing devices, farm machinery and toys. Our products are available in various shapes & sizes and can also be customized as per the client’s specifications. Extension Springs or tensile Spring are particularly fabricated with an initial tension which compresses the coils together in the free state. 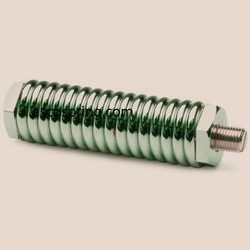 This type of spring is developed to pull loads or support tensile. These tensile springs are wound with an initial tension. This tension is the required force which holds the spring coils wound together. Leveraging on our vast industrial experience and domain expertise, we have reckoned as one of the leading extension spring exporters and tensile spring manufacturers in this highly competitive industry. Looking for Extension Springs ?